From a refined and subtle earstud on the ear to a festive pair dangling under your ear. 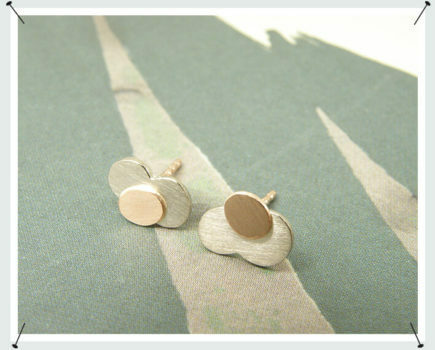 Our Oogst earrings are handmade in our Amsterdam studio in silver or recycled gold. You can choose clean-cut earrings with a graphic twist, a rugged texture, a whimsical set with butterflies & flowers. Or choose a pair earrings with colourful gemstones or pearls. Inspired? Don’t forget to check out our bracelets, cufflinks and necklaces. Come to our shop in Amsterdam and try them on! The pictures seem to not be loading on our English website…sorry! Please click on the Dutch website to see all the examples. Better yet, come and visit us in our studio and see everything for yourself and get some solid advice. Plan your appointment here.